And here I am thinking a pound of something is a lot. Which weighs more? A pound of feathers or a pound of lead? My pound of LNF weighs more than either the pound of feathers or pound of lead because I had to put it in all these little glass jars. Tobacco tale of woe: So I picked up a clay pipe today in Colonial Williamsburg. Through research I found that these clay tavern pipes they sell all over Colonial Williamsburg are in fact made by Old Dominion Pipes - it's their “Williamsburg” model. I was excited about trying this out, having read some positive stuff about clay pipes. I also visited Havana Connections a couple miles away. They're a small cigar shop that also carries some pipes and pipe tobacco. 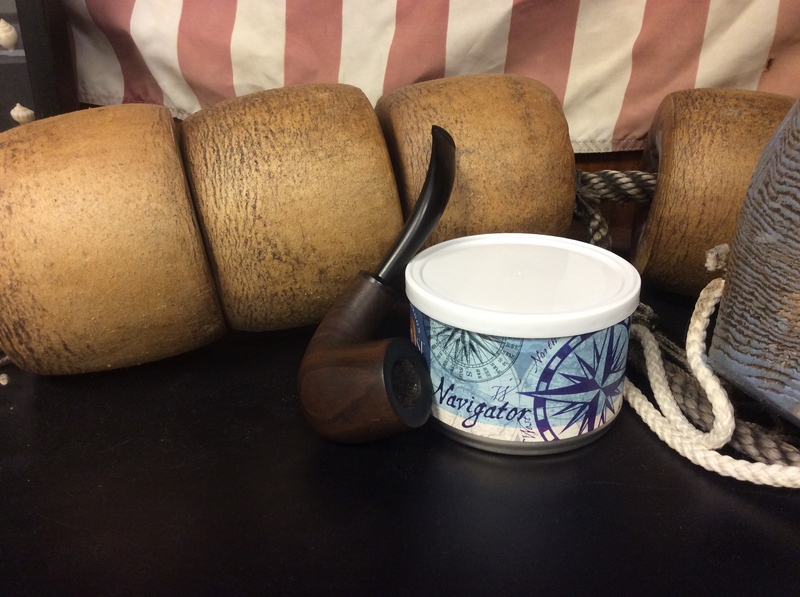 I saw they had in a large bulk jar a tobacco they call “Commonwealth” which, to my eyes, looks just like Stokkebye Luxury Bullseye Flake (the only really similar looking flake I've seen is Escudo, but that doesn't have the cavendish center. Also, the store stocks “Proper English” bulk, so I can't imagine this is anything other than LBF) So I asked the guy working the counter if he could confirm that this is LBF being called by a different name. I couldn't get a straight answer from him - IDK if he was being evasive or ignorant. Anyway - I got back to the motel and loaded a bowl of Commonwealth, noting how dry the tobacco seemed. Oh, my gosh - it was incredibly tasteless. Idk if it's all the air getting into the massive jars (air that was likely regularly permeated with cigar smoke - 4 people with Cigars burning when my wife and I walked in) The Virginias seem almost non-existent, and the perique is the most noticeable thing here. I wasn't all that impressed with the taste of it in the clay pipe. So upon finishing the pipe, I loaded some Star of the East flake from a jar I've been smoking, and found the taste to be noticably different as well, and not necessarily in a good way. The bowl gets hot, and the clay gives off a cool, dry smoke, but it just isn't the same taste as a briar or cob pipe. I don't know exactly how to describe it, but the overall smoking experience isn't at all what I'm used to enjoying. I guess the pipe just needs some breakin-in. I decided to give the supposed LBF another try, this time in my Peterson 999. It was better than out of the clay, but it still not an enjoyable smoke, and I'm probably going to trash the rest of the bag. Adam Z wrote: Tobacco tale of woe: So I picked up a clay pipe today in Colonial Williamsburg. Through research I found that these clay tavern pipes they sell all over Colonial Williamsburg are in fact made by Old Dominion Pipes - it's their “Williamsburg” model. I was excited about trying this out, having read some positive stuff about clay pipes. I also visited Havana Connections a couple miles away. They're a small cigar shop that also carries some pipes and pipe tobacco. 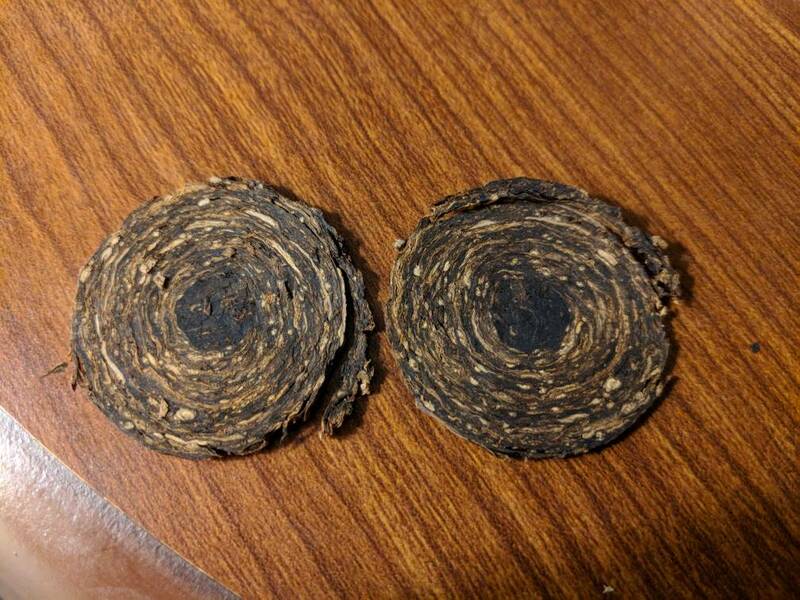 I saw they had in a large bulk jar a tobacco they call “Commonwealth” which, to my eyes, looks just like Stokkebye Luxury Bullseye Flake (the only really similar looking flake I've seen is Escudo, but that doesn't have the cavendish center. Also, the store stocks “Proper English” bulk, so I can't imagine this is anything other than LBF) So I asked the guy working the counter if he could confirm that this is LBF being called by a different name. I couldn't get a straight answer from him - IDK if he was being evasive or ignorant. Interesting. Clays do smoke very differently that briars. The coins look similar but not identical to LBF to me... could just be very old tobacco. This is why I don’t like to buy tobacco from jars in B&Ms. Clays do taste like... clay. Not necessarily unpleasant, but if you're expecting the same experience as briar, you'll be disappointed. Ditto Johnny's comment about jarred tobacco at a store. I've been known to buy it, used to buy it a lot, but always check it for being old and dry first. Small order came in today, but, it made me VERY HAPPY! Kind of fun to get two tins with 2 1/2 years age on them fresh from the store. Famous last words (of most of us). I got a tin of pelican and had Milan’s mail it to one of my favorite pipe makers, John Hines. I should have got one sent to the Judge. But as you smoke and enjoy the tobacco, you have to replenish it. As we discover blends that are stellar, we must get more. There is no sin in that. 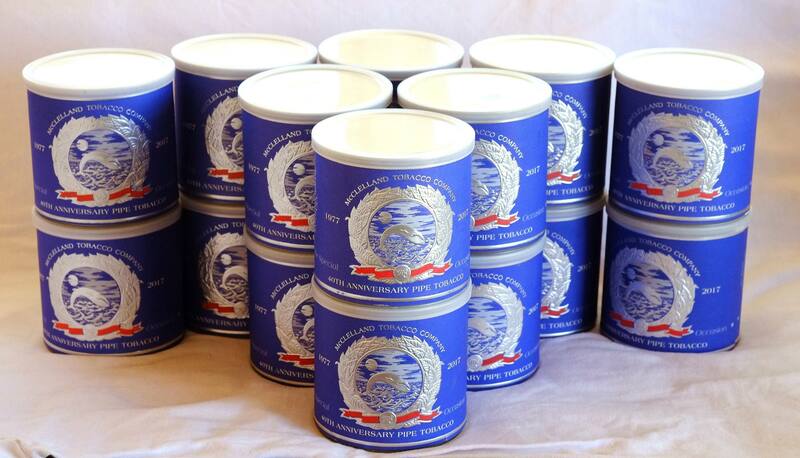 Couple more 100g tins of McClelland 40th Anniversary from a CPSer. Love this stuff. 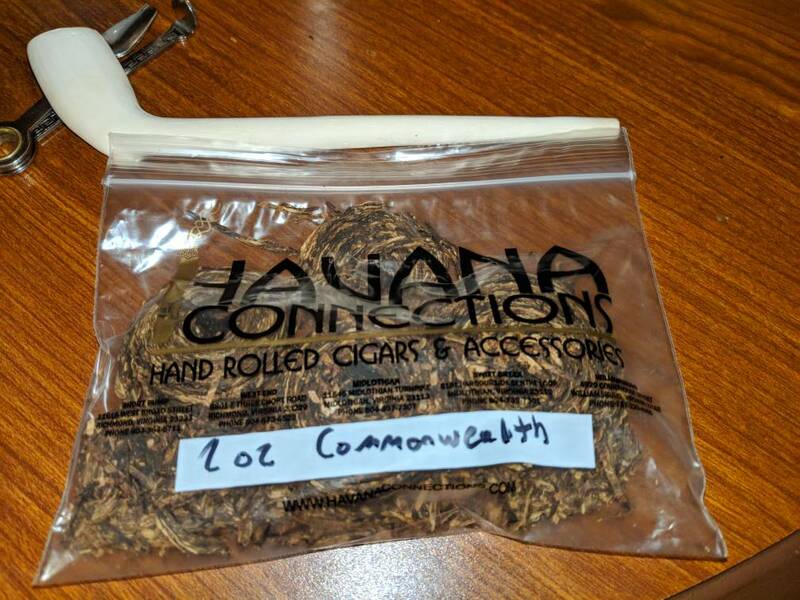 Best tobacco I ever have, or ever will have savored. As our 'ol Rusty would have said, it doesn't have any Perique and it doesn't need any. Some bulk stokkebye Black Coffee. Not my cup of tea (pun intended,) I'm going to save it back for winter it may be better then.